Each piece is sold separately - it allows to create variety of different sets. 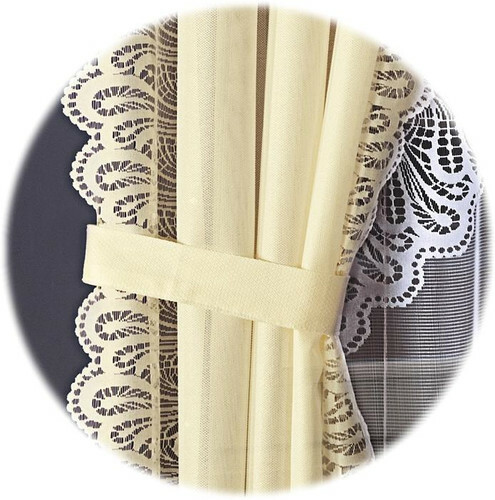 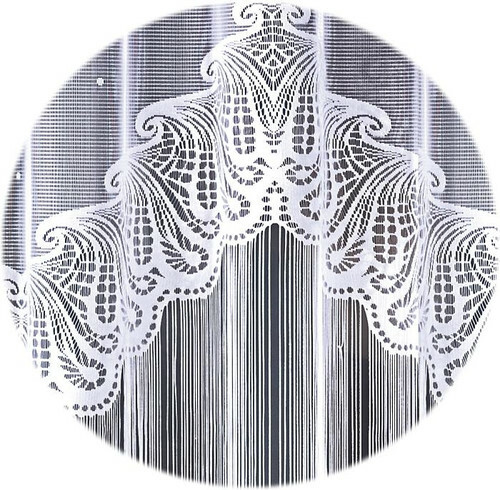 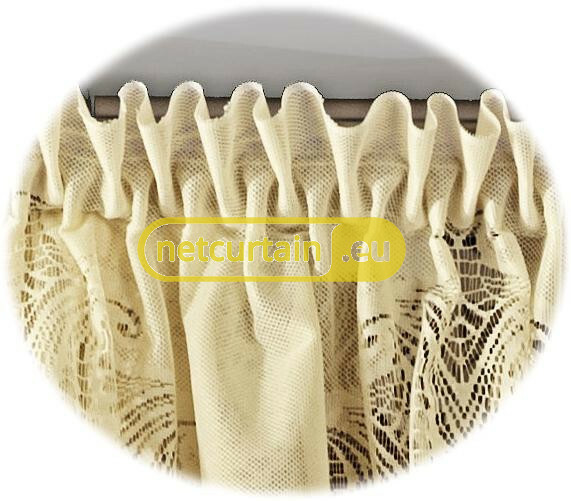 White, jacquard net curtain with fashionable pattern combined with string curtains. Valances, ruffles and curtains made of ecru, jacquard fabric. 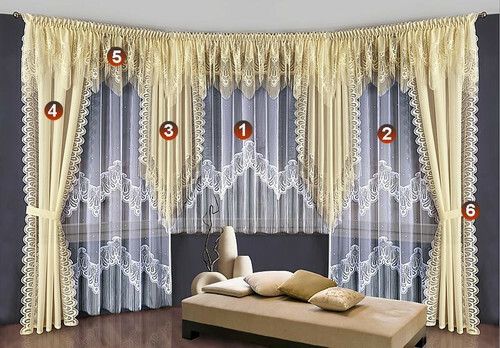 Usage of gathering tape makes this curtains perfect for your living room. 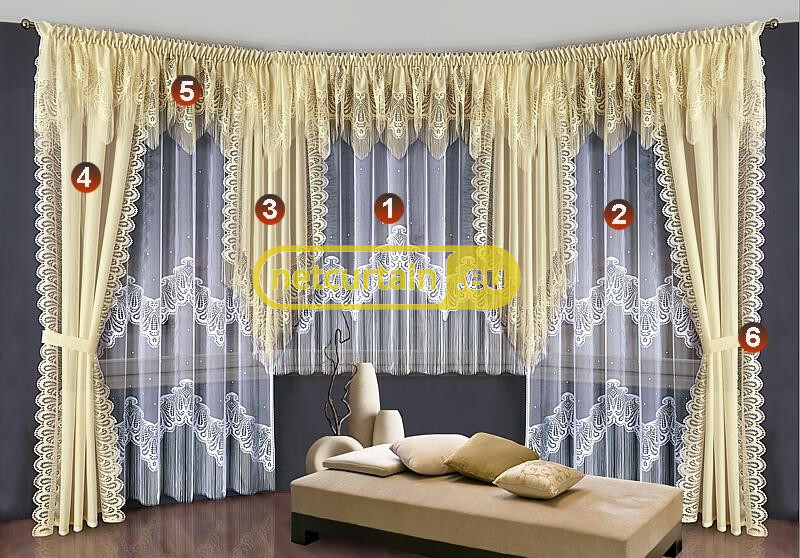 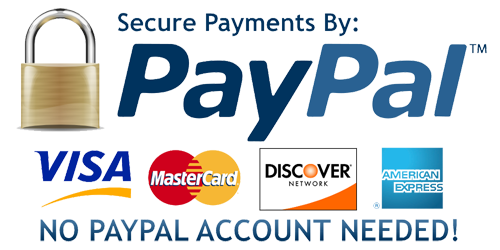 You can create your own set, suitable for your needs as it is sold by pieces. 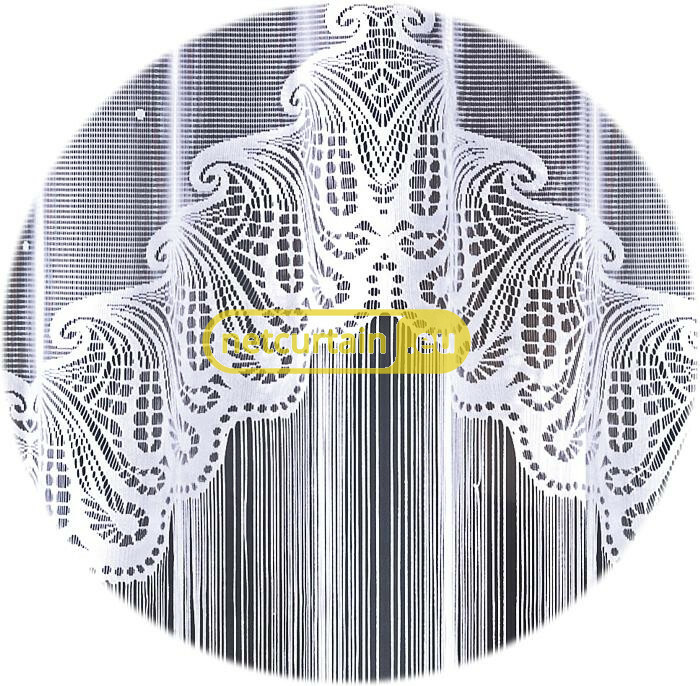 Usable width of a full set: 450 - 600 cm. 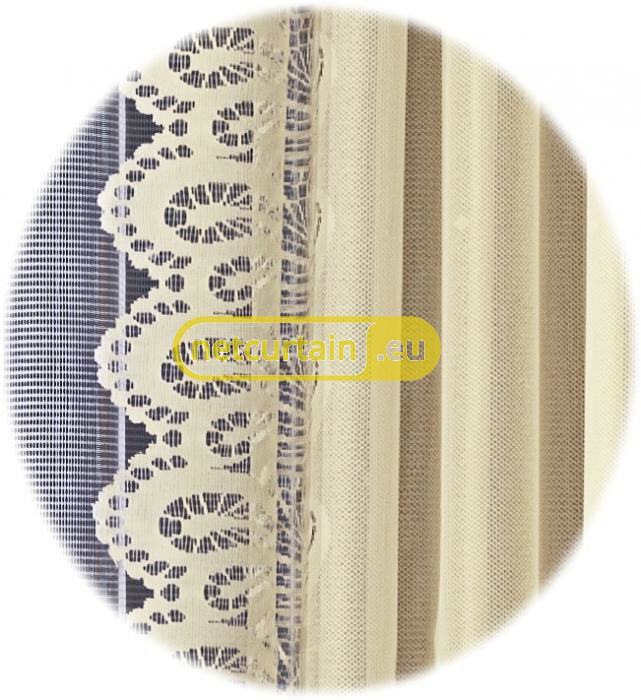 Usable width of full set: 450 - 600 cm. Set of drapery, ruffles and curtains adorned with stylish fringe.